This week, Starbucks unveiled their new corporate logo. This is their fourth branding change since the company was founded in 1971. As you might expect, news sites and blogs were busy spreading the word and offering their critiques. My first impression was very positive: I really like it. Starbucks kept their trademark siren icon, but dropped the circumscribing border and their nameplate, “Starbucks Coffee,” along with it. It looks like they also made the decision to stick with one color (their signature green and likely “knockout” colors like black and/or white), which adds simplicity. Overall, it’s a clean and effective design. 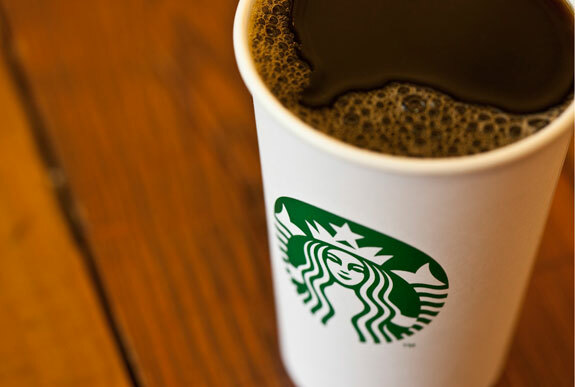 Starbucks’ press release says the branding change marks their efforts to be known for more than their coffee. I see it as more than that. Dropping their name from the logo and relying on the siren itself to represent their brand indicates, to me at least, that Starbucks now sees themselves as a globally-recognized entity, along the lines of McDonalds, Apple, or Nike. When a corporation or organization can reply upon a symbol alone to project their brand, especially on a worldwide scale, that shows just how powerful they’ve become in the public mind. That’s a pretty monumental change, even for a brand as ubiquitous as Starbucks. I agree completely. I think the change is primarily keyed to looking a the brand and the “branding” globally. The center portion (the siren) of the most recently logo was really all that was needed of the logo to tell you it was Starbucks, regardless of what language you speak. With the “more than coffee” thing, there is a good parallel to this. Take McDonald’s… their old signs have one or two arches and it specifically says “McDonald’s Hamburgers” and later “McDonald’s Restaurant”. Now look at the sign… not all of them even have the word McDonald’s written on it and it is not particularly weird to see pictures of McDonald’s signs with a non-Latin-based alphabet [hint: the essential part is not the text or the typography]. Unlike Fed Ex, for example, the name and the typeface is not essential to the logo and essentially McDonald’s is more than “hamburgers” or even a restaurant in the more conventional sense. Funny thought… Starbucks is like PlayPlace for dudes with laptops. Thanks for the post. Nice catch on the dropped circumferal border. I realize that’s not a word. http://www.spokesman.com/stories/2010/dec/05/starbucks-sees-growth-through-acquisitions/ Looks like “Starbucks without borders” crosses over from logo to international strategy in China. I wonder how the international branding focus groups went?